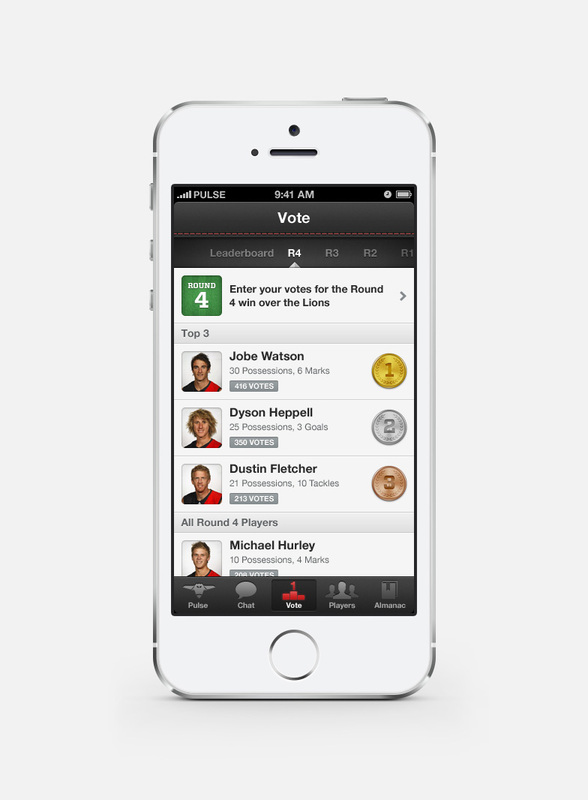 Following on from the success of AFL Footy Live, Sportsmate Mobile wanted to expand their suite of AFL apps to include a fan-centric app for all of the 18 teams. 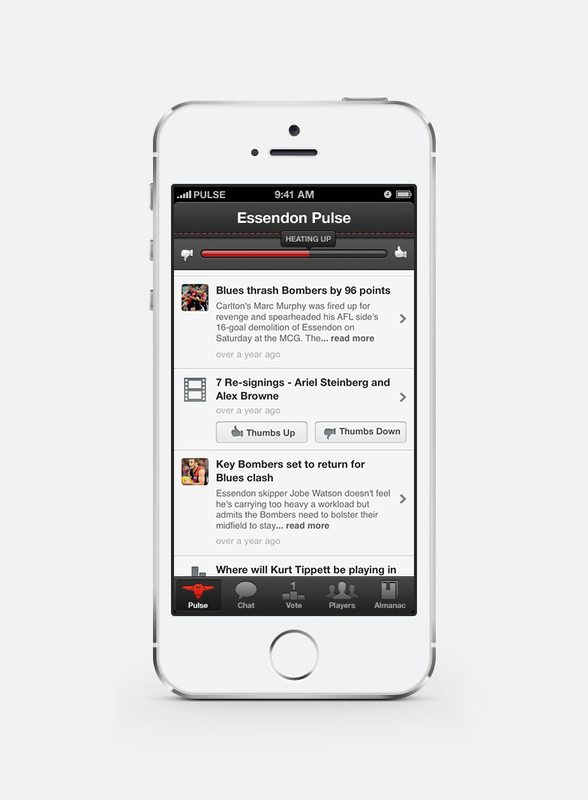 AFL Pulse allows fans to express their passion in a variety of ways. Has a star player suffered a long term injury? Do the new recruits give supporters optimism? Fans can give these stories a thumbs or thumbs down, which is then aggregated into an overall team score. 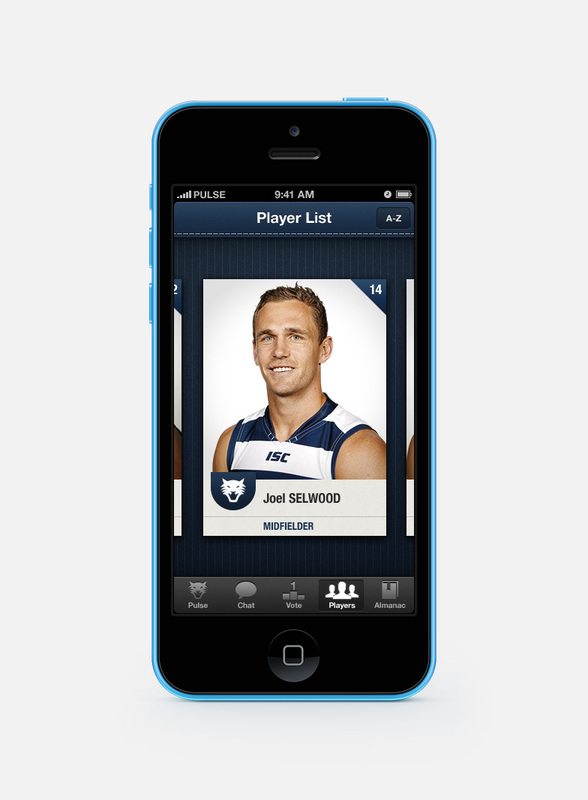 Video highlights, polls and player Twitter feeds also keep fans on top of the latest club news. 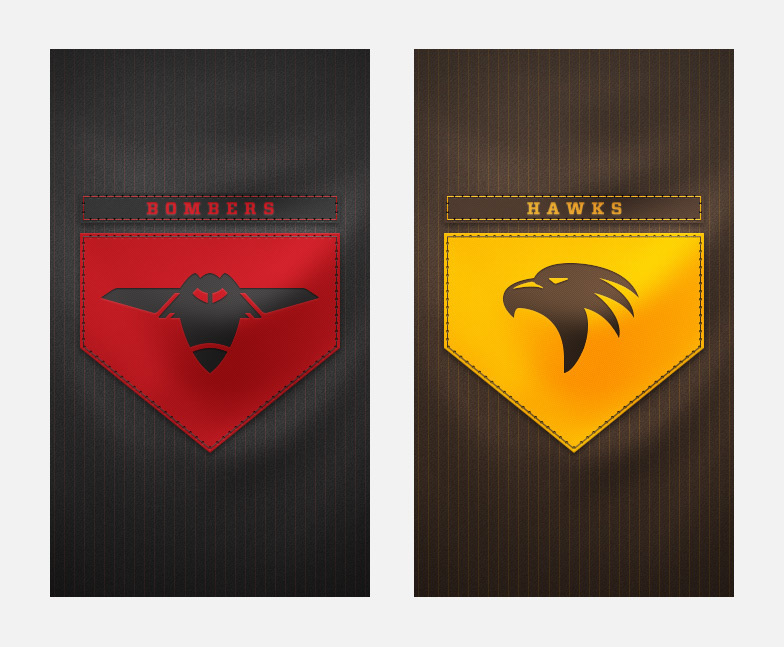 Player uniforms and team merchandise where the inspiration for the design of AFL Pulse. Layering material textures gave us interesting options and a broader colour palette. 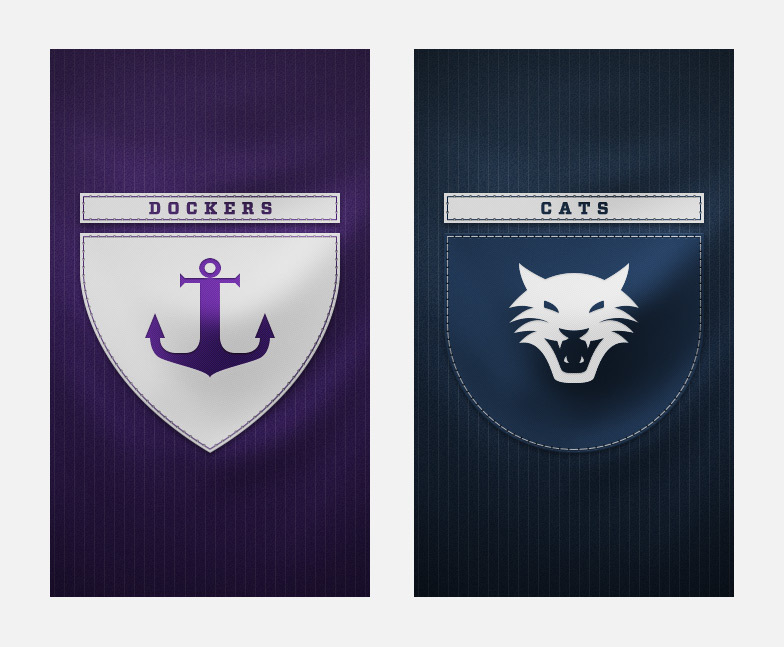 Subtle stitching on navigation bar allowed us to incorporate team colours right throughout the app. 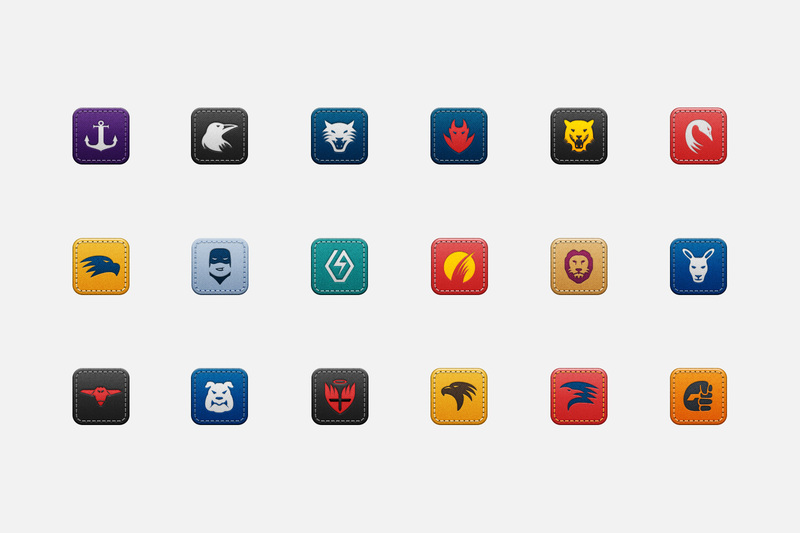 Each app had to feel unique, yet part of a cohesive family. 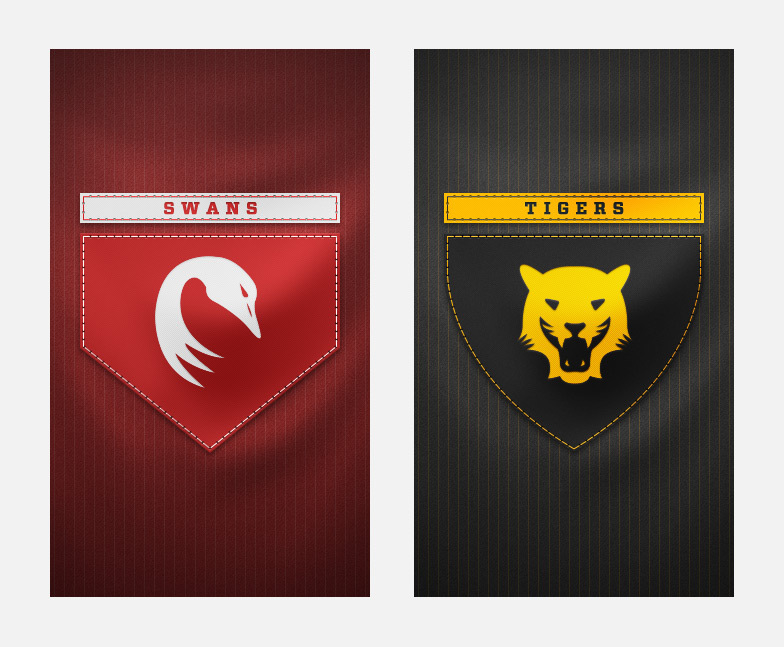 We wanted to make sure each app had a design the fans could be proud of, so care was taken to balance the team colours and incorporate them in a variety of ways. 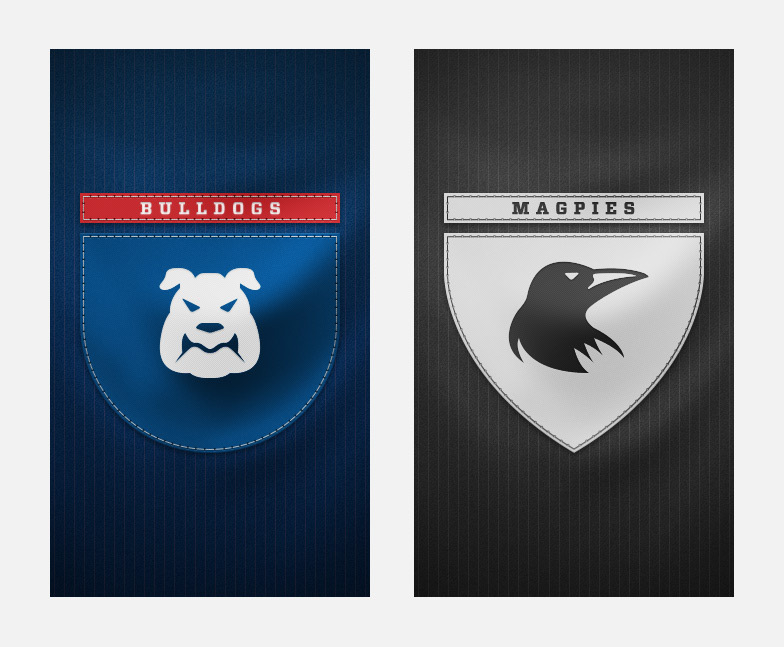 A custom logo was drawn for each club by Alan van Roemburg, and they all had a custom set of backgrounds, text colours and user-interface elements. Poring over dusty plastic sheets filled with the player cards of NBA superstars of the 90s (shout out to The Reignman), swiping through a virtual set of cards seemed like a natural and fun way to browse a list of players. Several iterations were designed, based around large player photos on the front with stats accessible on the back by flipping the cards over. 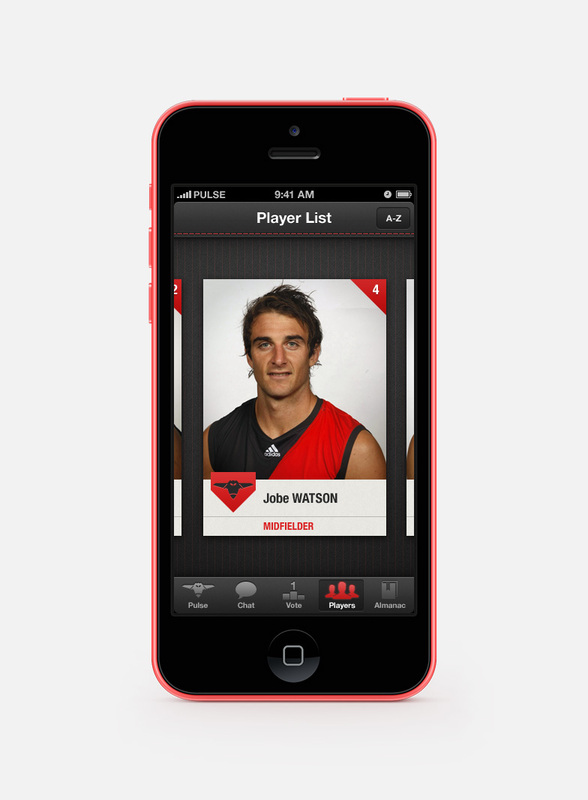 Last minute licensing changes by the AFL in using player photos meant that unfortunately, we couldn’t include the cards as intended.